Servicing and repairing modern day Land Rover vehicles is becoming an ever more complex occupation, particularly for Independent operators who wish to keep fully up to date and offer their customers an experience which continually equates to, or betters that of the franchised dealers. We are therefore taking an innovative approach in looking to the future by creating a new position in the industry of Technical Supervisor. This will suit a highly motivated and experienced senior Land Rover technician, or a current workshop controller who wishes to take the next step in managing a very busy workshop, whilst becoming involved in the research, preparation and delivery of new training programmes which will keep technicians conversant with future vehicle requirements and the ever changing drive-train innovations. This position will require a good standard of literary presentation and excellent customer facing communication skills. If this exciting career change would be of interest, we set out below the main particulars of the position. 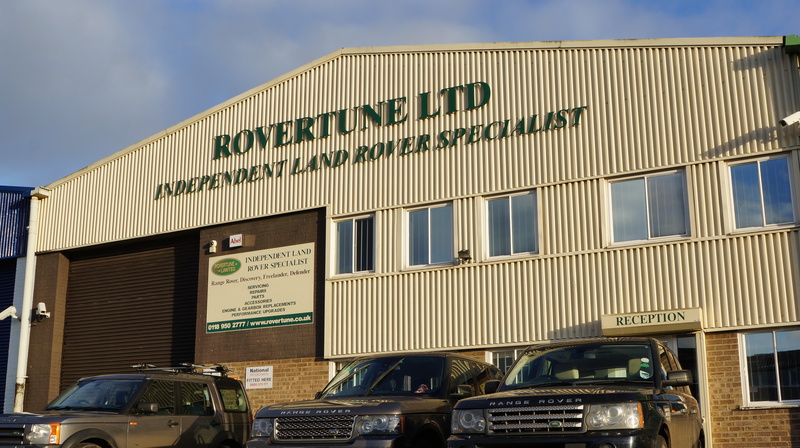 ROVERTUNE LTD, ONE OF THE COUNTRY’S MOST RESPECTED INDEPENDENT LAND ROVER SPECIALISTS IS LOOKING FOR AN EXPERIENCED TECHNICAL SUPERVISOR. Working hours: Full Time Monday to Friday 7.30am – 5.00pm. Benefits: 22 days paid holiday per annum plus bank holidays, auto enrolment to a workplace pension scheme (which can be improved from the standard Government required scheme for the right candidate) with future opportunities to progress within the company. Being committed to growing our business in an ever competitive trading environment, an opportunity has arisen for a highly organised and commercially astute Senior Land Rover Technician, or Workshop Controller to join our team who will be accountable for the performance of the entire workshop and future technician training requirements. You will be the pivotal person who ensures the department delivers work on time and to a high standard ensuring we continue to deliver unparalleled customer service at all times. We expect every member of our team to have high levels of integrity, be passionate about their role and take ownership of the customer needs in line with our core values and also possess a proven track record of success. You will also be responsible for ensuring that all actions within the workshop are in total compliance with current Health and Safety Legislation. Rovertune offers you an excellent opportunity to develop your skills and provide you with an excellent career pathway. We are looking to improve, through effective resource allocation, efficient work scheduling, ensuring workshop machinery and tools are maintained and that equipment and stock of consumables are well managed. Assist with Technician Training when required. This will include not only assisting with practical Technician Training, but also keeping under review and making recommendations, together with assisting in the preparation of future training requirements as new vehicles are released and vehicle operating technology changes. Be fully conversant in Land Rover diagnostic tools to include TOPIx, SDD and JLR Parts Catalogue and carry out software updates to these systems as and when required. The applicant should have excellent mechanical awareness, be highly organised, with a keen eye for detail, be experienced at working in a supervisory capacity and have strong commercial awareness.